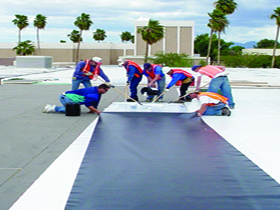 Commercial roofing contractors repair and install roofing systems on commercial buildings. They can handle both repairs on current roofs and installation on new commercial building projects. 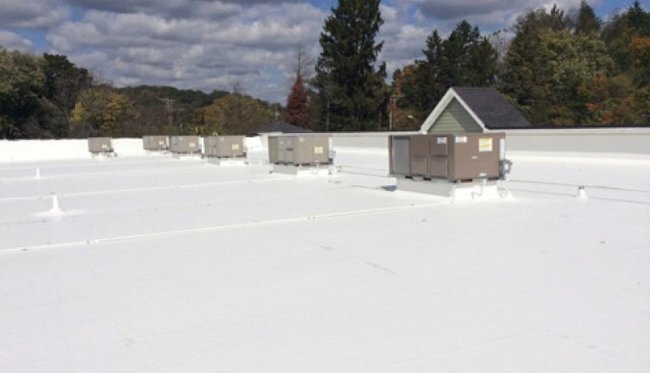 Some reasons that commercial property owners would hire a professional commercial roofing company would be fixing damage from water leaks, storms, fires and other related issues. If the roofing system can’t be repaired due to extensive damage, they may have to hire a contractor to install a new complete roof. We can repair or install roofing systems on office buildings, industrial property, retail stores, warehouses, shopping centers, and apartment complexes. Commercial roofing comes in many shapes and sizes, so its critical to hire the commercial roofing specialist that best fits the type of roof you have. You must take the time to do your due diligence and hire a professional, experienced and licensed contractor well versed in your roofing system type. Obtain recommendations from contacts you know and trust. Notify your family, friends and business acquaintances that you need a reputable commercial roofing contractor and ask them if they, or anyone they know, can recommend one from a previous experience. Word of mouth is a great way to get a referral to a company that can handle the job. Put together a list of potential companies and do some due diligence on them. Research them online by checking their sites to see if they’re a good fit. Going to review sites may be useful to help make an educated decision. Check their sites to see if they handle the type of roofing system you need or have and also follow up, if possible, on previous customer experiences. Also, please keep in mind most reputable commercial roofing companies show on their websites that they have a great relationship and reputation in the city or community they are based in. Its critical that you end up with a safe and technically sound roof. The best way to assure this is to start by making sure the roofing contractor you choose is legit. Make sure the contractor has the proper and required licenses, permits and insurance to provide commercial roofing services. So, check the company’s background by making the calls and do your due diligence. The Better Business Bureau would have any record of claims filed against the contractor how they resolve their disputes if they have any. You could contact the Chamber of Commerce and inquire about their reputation. Be very critical and take any companies that are questionable off your list. With each company you’re considering, set up an interview with the owner or their representative. Put together a comprehensive list of questions you want them to answer. You should ask about their contractor’s license, the experience they have with your roofing system, if they have the proper amount of insurance, cost estimates and how long they plan on the project taking. Make sure you know the type of material they recommend using on the roof. ask them what kind of guarantee they have for their workmanship and materials. Make sure everything they tell you is put down in writing. Get a list of references you can check along with their contact information. A good, professional and reputable commercial roofing contractor will be more than happy to put together a written estimate with all the necessary legal disclosures and customer references. They should be confident about their ability to do the job completely on budget and time. When the interviewing is complete, its time to make a decision. Don’t base it just on price. Sometimes the lowest price might indicate that that particular contractor isn’t the right one for the job. The most weight should be put on the company’s experience, reputation and how comfortable you feel about their ability to work with you. Pay attention to the fine print. Take your time and read through the entire contract and get any questions cleared up before you sign on the dotted line. Installing or repairing a commercial roof can be a considerable investment, so be careful that you’re choosing an experienced, professional and reliable contractor. If you feel pressured in any way to make a decision – don’t. You need to hire the right contractor that you feel completely comfortable with. It is important to research properly when hiring a commercial roofing contractor. So, take your time and make sure to find the right commercial roofing contractor for your roofing system and project. So take the time to find the right commercial roofing contractor for your project. 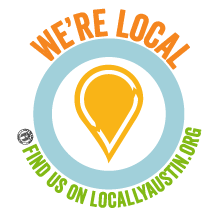 Armadillo Roofing & Exteriors has been serving the greater Austin area for over 15 years. When you need a professional, experienced and trustworthy commercial roof repair contractor for your next commercial roofing project, give us a call at (512) 333-7663.